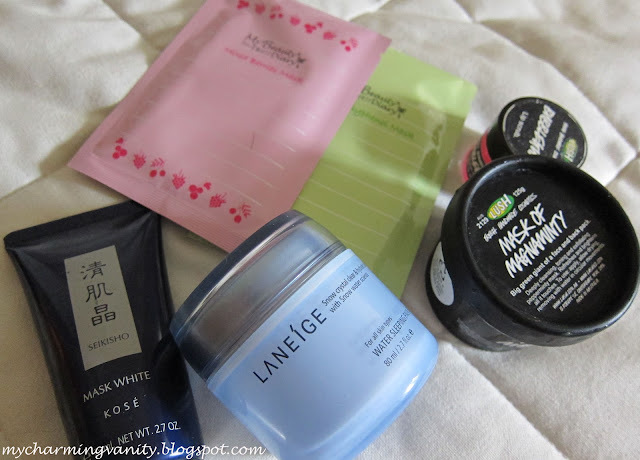 Review: August Bellabox, Happy Birthday Singapore! OK. 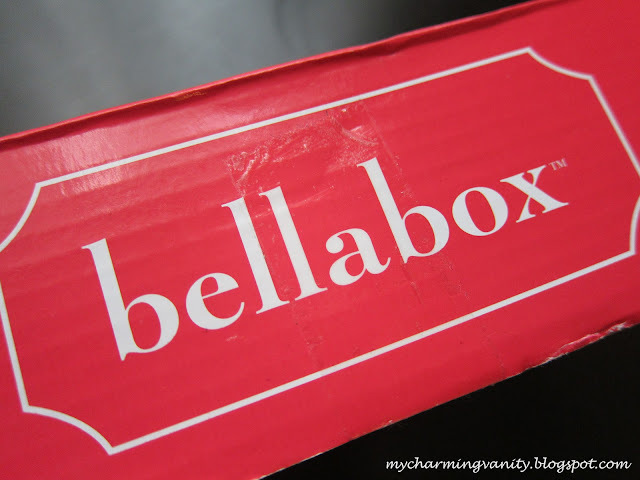 I know, I am so late with posting up this review on the August's Bella Box. However, I figured, better late than never right? As some of you may have already known, Bella Box is tied to different themes each month. Whilst I would say that the items/samples within may not have direct correlation to the themes, they do throw in additional goodies according to each month's theme. So the goodies of the month is a 'I love Singapore' printed recycle bag. Though I'm not too big fan of recycle bags, but I reckon this is a pretty neat idea. 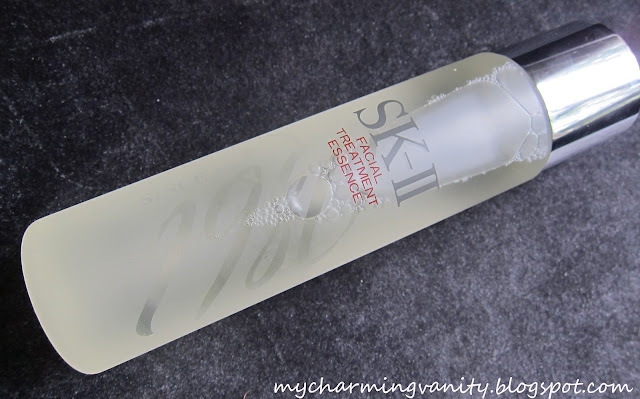 If you remember this post here, YES, it has been quite some time since I've bought and tried out the SK-II Facial Treatment Essence. I've been meaning to share my thoughts here. However, interestingly for this product, my opinions only formed on my second bottle of product and after more than 6 months of usage. Even without much further introduction from my end, I believe many would have already heard about this product from the aggressive advertisements everywhere. This product claims to have the benefits of boosting texture refinement, firmness power, wrinkle resilience, radiance enhancement and spots control. From the website, it claims to contain more than 90% of Pitera which helps to maintain the skin’s natural renewal cycle to its optimum condition to allow skin nourishment and helps balance skin’s pH and sebum moisturization. Too much information to handle? Well, in summary, this is known as the ‘Miracle Water’. Hello everyone! I just got back from a work trip last night and thought I should do a quick post here to share some of my favorites for the past month. Again, sorry for not keeping up with my postings as I was caught up with all the work travels that I had to commit to for a few months now. Some of you might remember that my previous holy grail foundation was the Estee Lauder Double Wear foundation. It definitely still is but recently with my rather hectic schedule, I had fallen in love with Chanel's Vitalumiere Aqua. 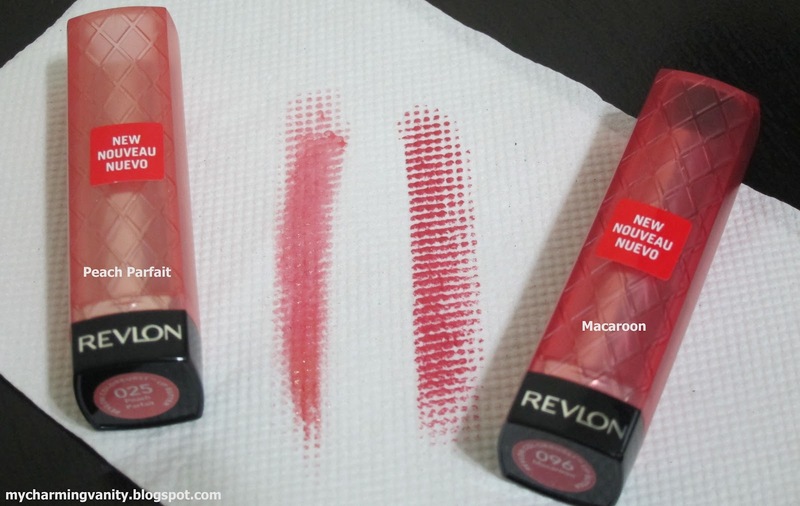 I love the light consistency and the dewy finish that it gives. Whilst it may not be as long lasting as I hope it can be, topping some matte powder (aka Maybelline Dream Matte powder) definitely helps control oil throughout the day and make sure that it stays longer. The coverage is also light to medium yet buildable. That said, I would usually apply some concealer before/after applying to cover up some spots that the foundation can't cover up. Sorry for going on hiatus for the past month. I have accumulated so many beauty stuff which I really wanted to share here, but unfortunately, had not much time to do so. Definitely hoping that with myself stepping onto a new milestone in Sep, I will have more time to write on this blog. Anyway, back to what I'm suppose to share here today. As with the other months, I've received my July's Bella Box in the early weeks into the month. This is my third box so far and I've noticed that the management has switched up its delivery service to a hand delivery service (i.e. The delivery man will actually call you up and make sure that the box is hand delivered to you). I quite like this service, however, it did come with an increased price of $19.95 instead of the initial $15. 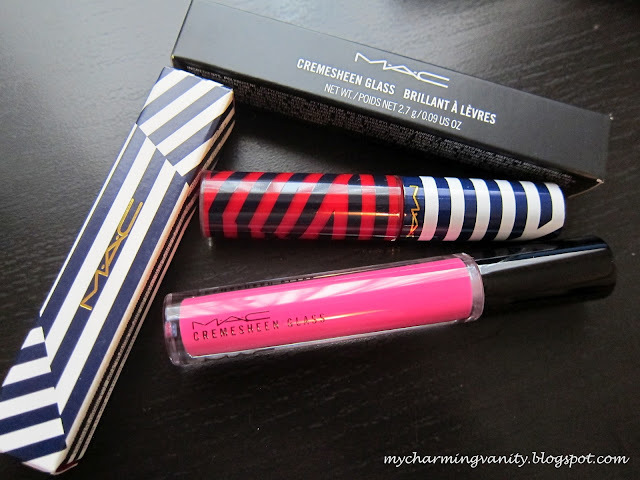 A few weeks ago, I received an invite to attend MAC's Hey Sailor collection launch which was held at Raffles City, Singapore. I was intrigued by the collection simply because I am obsessed with pin-ups style and the Hey Sailor collection happens to be all about that. Here are some products I ended up getting. I was intially eyeing the highlighting powder in the collection, only to my dissapointment, that Singapore does not carry that product. I wasn't too impressed with the others and the only thing that really caught my eye was Send me Sailing. While browsing through other products, I decided to also buy the cremesheed lipglass in Loud & Lovely as fuschia pink is my favorite lip color. I'm so excited with both and have already experimented with them while going away for a work trip. Beauty box subscription has definitely been an on-going discussion in the beauty community. Ever since Singapore & Malaysia caught on to this trend with the introduction of Bella Box, Vanity Trove & Glamabox, I've been debating whether to jump on the bandwagon for the longest time. I guess being obsessed with beauty products, the good thing about this beauty box subscription service will be that it allows me to have variety of items to try out. However, bad thing is, with that many items that I purchase all the time, I practically get free samples most places I go to. That said, I still decided to take the plunge and subscribed to Bella Box (the cheapest option among the three). The entire ordering process was really fast and hassle-free - no doubt something that I really appreciate for any online shopping platform. On to the things in the box. 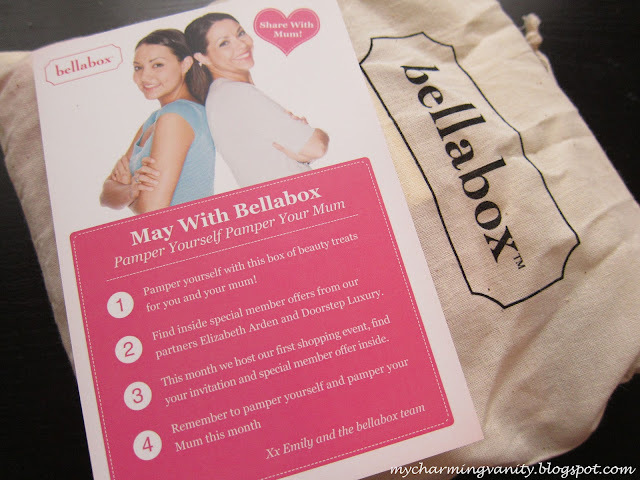 May's Bella Box is 'Mother's Day' themed box. It comes witha total of 5 beauty samples. I like how the box comes with a detailed card which explains all the items that you are getting along with the full sized prize and where you can get the product. Among the products, the one that I'm most excited about is the Macademia natural oil, mainly because I'm in search for a new hair oil to replace my Organix Moroccan Oil. As for the other products, I wasn't really that impressed with. 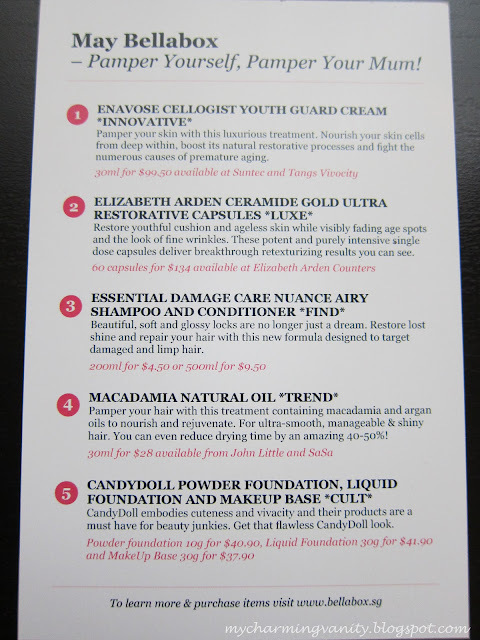 The box also came with a $20 elizebeth arden voucher which I guess I won't be using anytime soon. Overall, I wasn't too impressed with the May box. The June box which I'm expecting to receive this week seems like a more exciting version. Have you ordered your Bella Box? I'm sure I had this featured in one of my hauls early this year, but being the usual me, I had to try the product out for ages before coming to a conclusion of whether I like it or not. 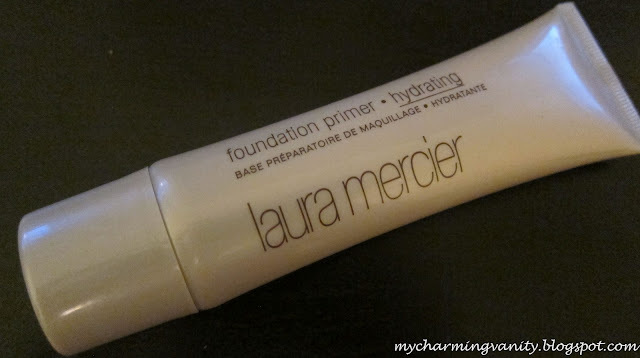 Surprisingly, this time round, I am on the fence for the product, Laura Mercier Foundation Primer - Hydrating. This is a product that I really really hope would work out for me. I can still remember the euphoria I was in when I bought this during one of my trip back to Malaysia - that was when Laura Mercier was not available in the Sephora in Singapore. Anyway, the product really did work well for me, at least for the first month of trying. 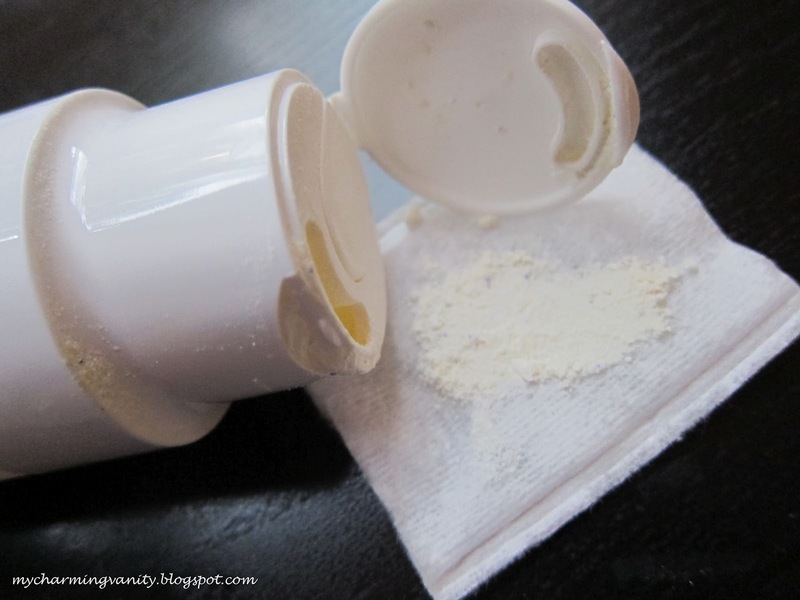 The initial texture of the product was creamy and well mixed. 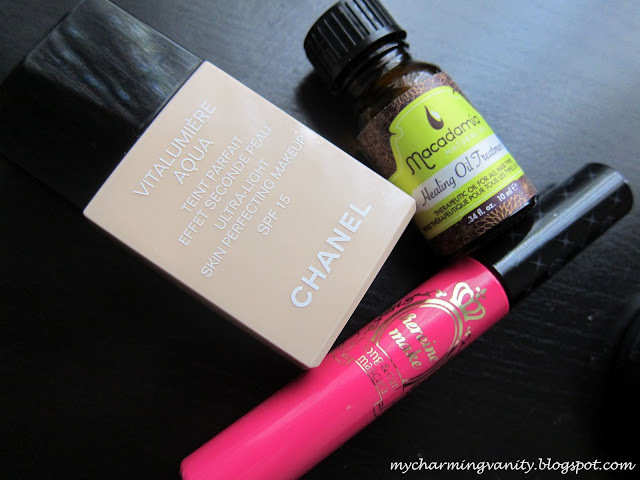 It goes on smoothly on my face and does wonderful thing especially when paired with my Chanel Vitalumiere Aqua foundation which has very short oil control and staying power. I also do notice that my skin feels much softer and hydrated when using this primer - even when paired with Estee Lauder Double Wear foundation. Overall, I was very impressed and had nothing to complain. In fact, I thought this was gonna be my Holy Grail primer. However, after a month or so, the product started going crazy. I'm not sure what happened but it seems that the water in the product had separated with the cream. Due to this very reason, everytime when I tried to use it, water would be squeezed outta of the tube first and after finally creating a big watery mess only the cream product will get out. I thought this could be solved by giving it a good shake, just like my Vitalumiere Aqua foundation. However, I was very wrong. It didn't make the situation better but in fact causes more water to spritz out. It became so annoying that now, I would only use the product on weekends when I have more time to clean up the mess that it creates. 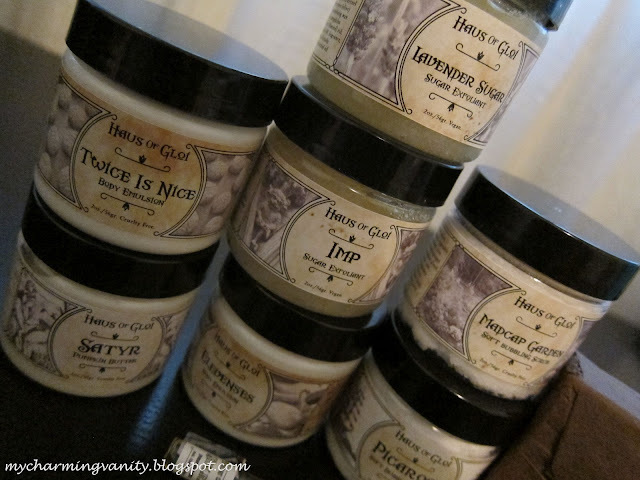 Bath & Body Haul: The Amazing Haus of Gloi! It was rather hectic at work over the past weeks. Honestly speaking, I am so deprived of sleep and at the same time, too intoxicated with caffeine, which explains my lack of blogging here. However, one thing exciting that I wanted to share is that I have finally received my long awaited Haus of Gloi package. I'm so impressed by some of the scents of the products which I've ordered and can't wait to try them out really soon. Have you tried any Haus of Gloi's products? 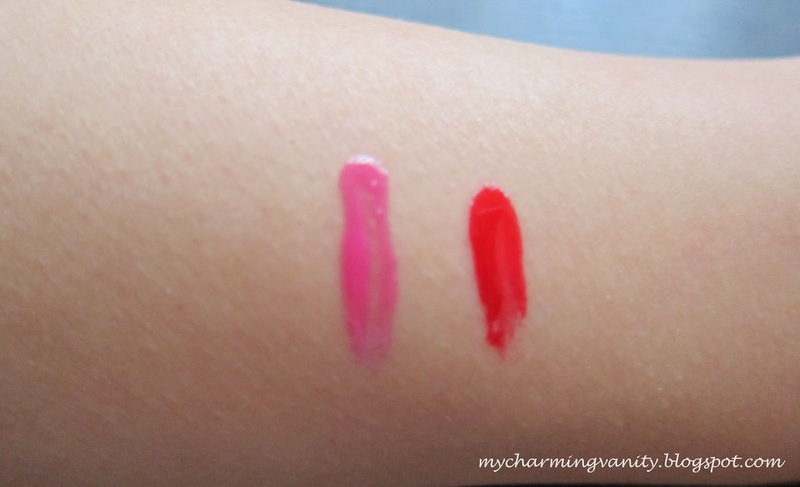 ELF Twinkle Pink - This is really pigmented! 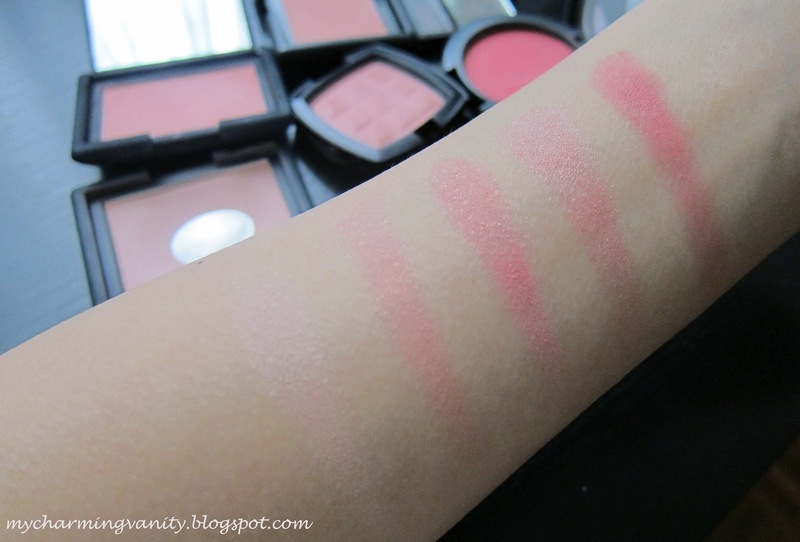 ELF studio line has some of the best affordable blushes that I have ever tried. If you are on a budget, do check out their line of blushes. NYX Pinched - Another Holy Grail for work. I hate over blushing and looking like a clown for office as I work in a more conservative and professional environment. As a matter of fact, overdone makeup is a big NO in the office, and hence, the only thing that I switch up more often is my blush color. MAC Bite of An Apple - This has always been my favorite MAC blush. It is from the Disney Venemous Villains collection and as I have yet to find a dupe for it, I'm sort of on a 'saving it' kinda mode. I love the glow that it gives my face and now, I am absolutely loving it for weekends. 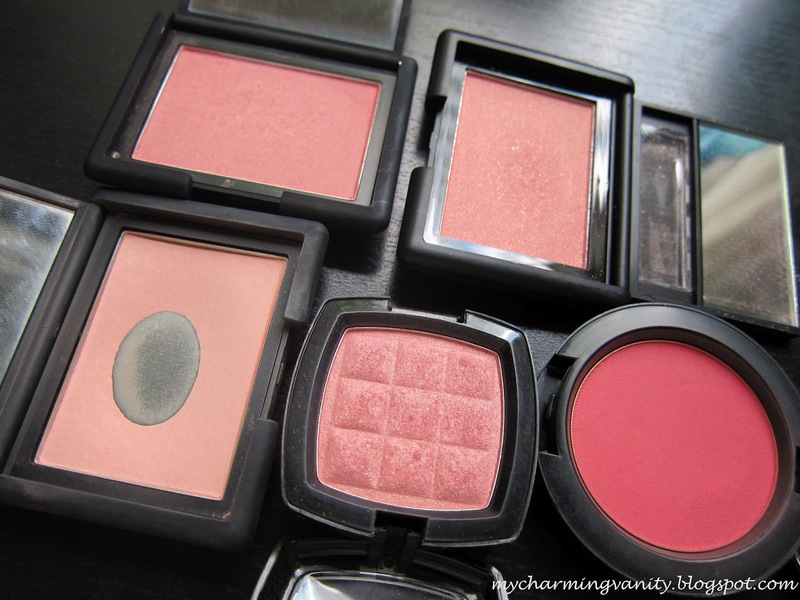 What are your favorite blushes for this Summer? 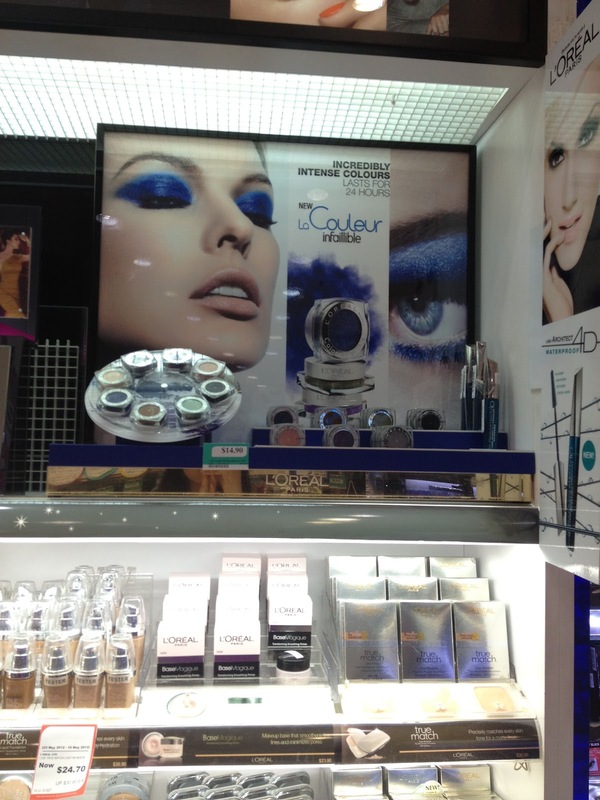 Spotted: L'Oreal Infallible Eyeshadows Back in Singapore! Here's what I totally did not expect to stumble upon while doing my biweekly Watsons (aka the local drugstore in Singapore) visit to replenish my bathroom cabinet. The L'Oreal Infallible Eyeshadows are back in town! Yeah!! They retail at SG$14.90. I was really tempted to buy them initially but I decided otherwise as I really do need to streamline my makeup. 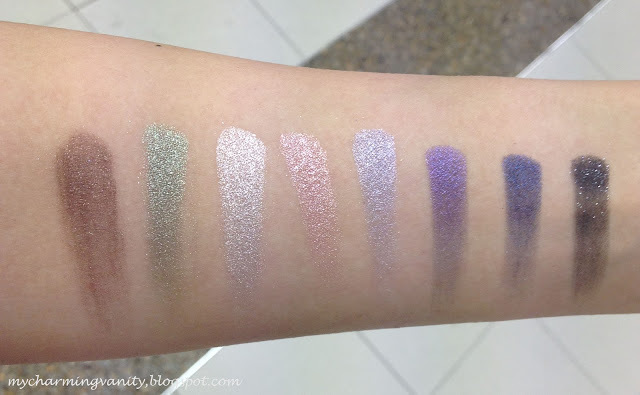 That said, I did a bit of swatching on my arms and was definitely impressed by the intensity and staying power of the eyeshadows. 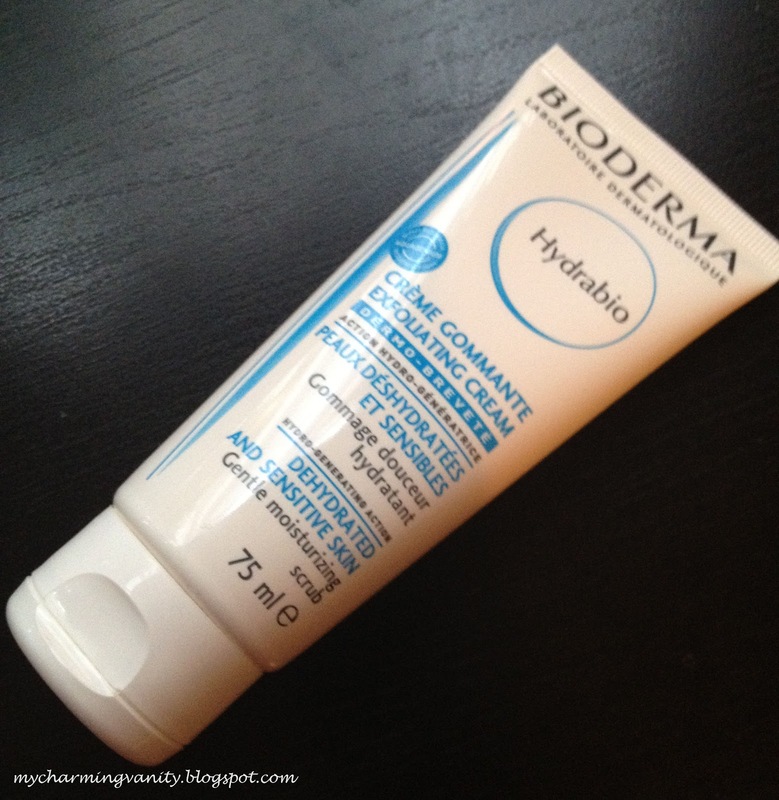 After much procrastination, I'm finally posting up this long overdue review on Bioderma Hydrabio Exfoliating Cream. I'm sure there's no need for much introduction to Bioderma, as most of you would have already be quite familiar with this much acclaimed French skincare line. YES! that's the one which came to fame in the beauty blogging world via its amazing Sensibio H2O Makeup Remover. Bioderma is essentially a dermatologist brand designed for sensitive skin. It is created by a French laboratory and owns different skincare ranges under the same brand. It is also claimed to be one of the most prescribe brand by French dermatologists. And like all of its range, the Hydrabio line is specifically catered for dehydrated and sensitive skin. The patented Aquagenium® biological complex stimulates the skin’s cellular capabilities, re-training it to generate in depth, and to lock in on the surface, the moisture essential for its balance. Cleansed and hydrated in depth with Hydrabio Exfoliating cream, the skin regains its comfort, softness and radiance, and derives full benefit from the hydration* procured by the Hydrabio skin care range. Non-comedogenic and hypoallergenic, Hydrabio Exfoliating cream respects the dehydrated skin’s sensitivity and guarantees excellent tolerance. With such amazing claims, one must wonder whether does the product really works as well. Honestly speaking, I do not have sensitive skin so I'm not sure how this will work on sensitive skin. However, one thing that I can be sure of is that contrary to any face exfoliation products I've used before, this is one of the gentlest and non-moisture stripping face exfoliation product ever. The product is lightly scented and the texture is creamy which is different from most exfoliater I've tried which are watery. There are some microbeads in the cream and it's very well blended together with the cream to provide gentle exfoliation. 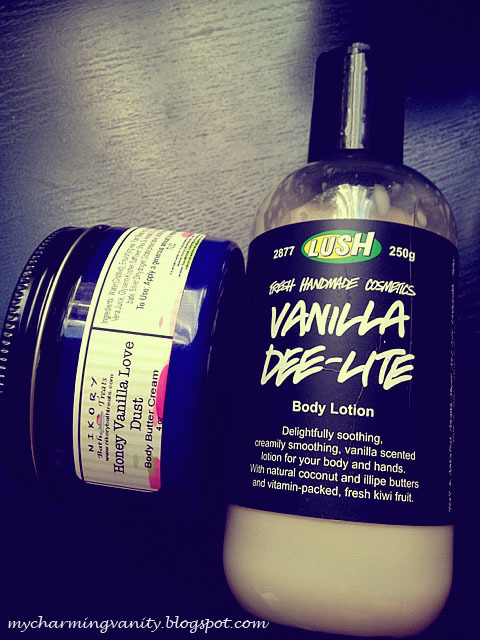 A little of this product goes a really long way as it lathers really well on the surface of my skin. After each exfoliation, I find that my skin feels alot smoother, brighter and has no slightest hint of tightness (something that is common for harsh exfoliater). The method of use is very simple where you only need to squeeze a tiny bit onto your palm and gently massage it onto a slightly damped face in circular movements, avoiding the eye contour area. I use this product once to twice a week and it works really well in removing the dirts and dead skin from the surface of my skin. This is something that I totally recommend especially for those who apply makeup on a daily basis as most of the time products tend to clog our pores even with daily cleansing. I would say that this is definitely one of the best drugstore face exfoliater which I've tried so far and I can foresee that it will be a mainstay in my skincare routine. 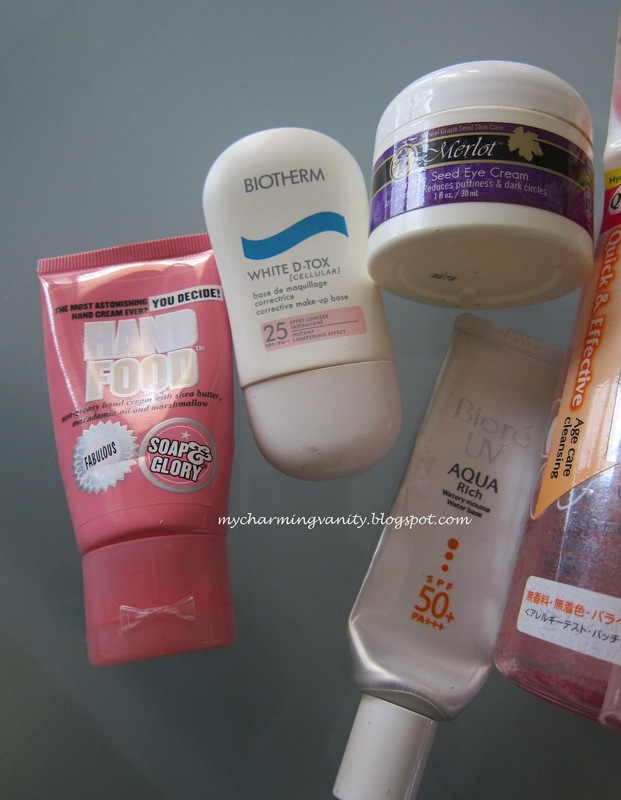 Have you tried any Bioderma products? 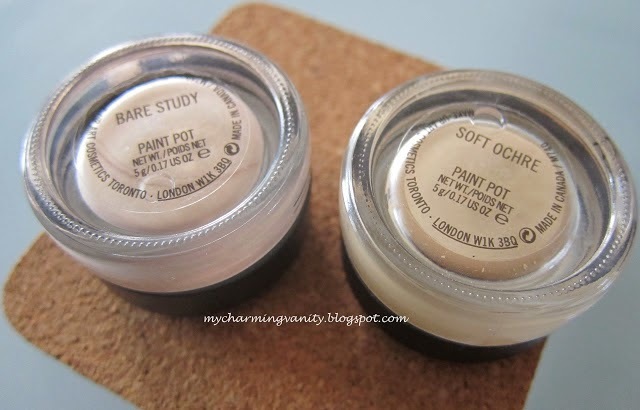 Ever since I've jumped on the cream eyeshadow/base bandwagon, I've been searching for a cheaper alternatives that might be MAC paintpot alike. It always doesn't hurt to save my pocket from burning a big hole. 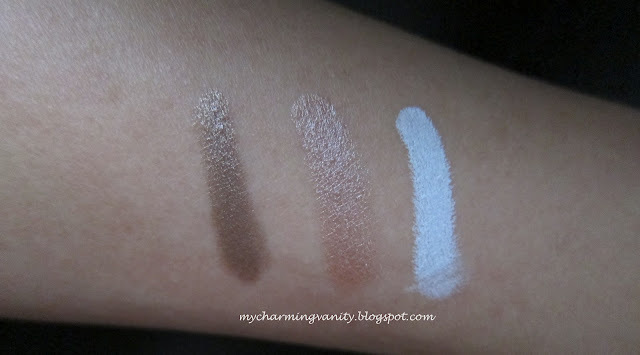 Nevertheless, I'm still itching to add Chanel's Illusion D'Ombre into my makeup collection. The cheaper alternative that I feel has comparable quality so far is none other than NYX Jumbo Eye Pencil. The colors that instantly caught my eye was Iced Mocha, Milk and Yoghurt. The eye pencil's consistency is creamy and they really make perfect eye bases especially for Milk when I'm trying to pull a colorful eye makeup. Iced Mocha and Yoghurt are both colors that can be worn by itself. 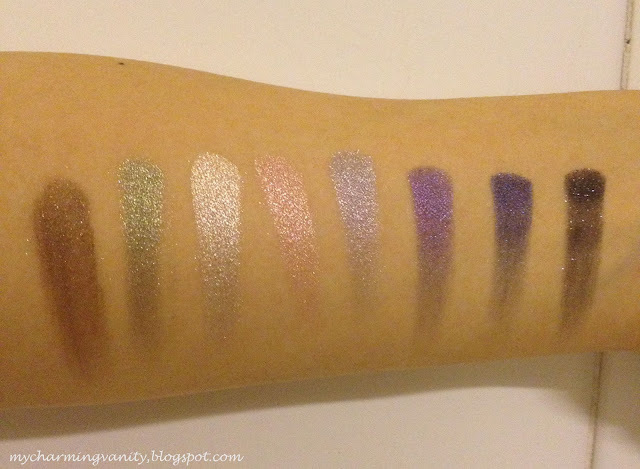 Remember I was sharing about how MAC's Bare Study paintpot is able to brighten up my eye lids? Well, Yoghurt does the exact same thing, albeit at a much cheaper price tag. Furthermore, the pigmentation of this product is surprisingly good, something that I did not expect from a low-end brand. I guess the only thing that I didn't enjoy about this product is the lasting power and the fact that it creases. However, with really light colors such as Yoghurt (my most used champagne base), the creasing effect doesn't really show up that much. 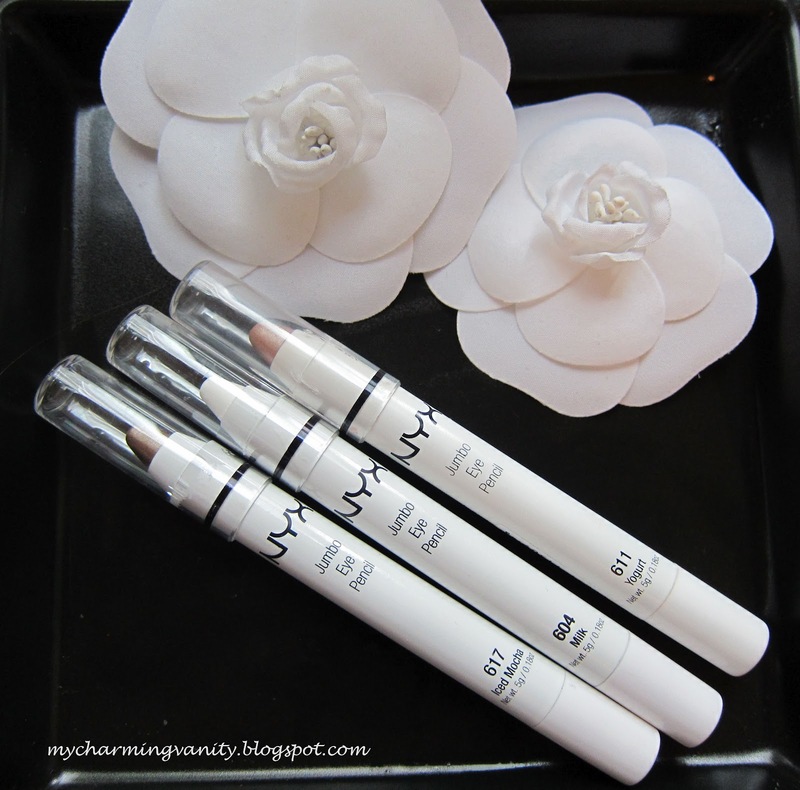 If you are looking for the more economical option, definitely take a look at NYX Jumbo Eye Pencil. 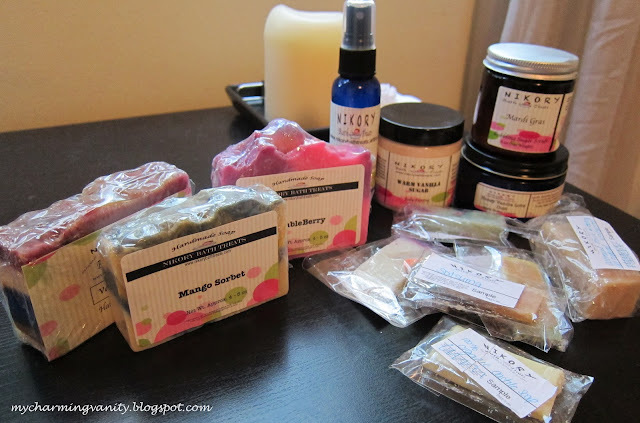 So I finally received my Nikory Bath Treats haul. I am pleasently surprised by all the products that I've received. 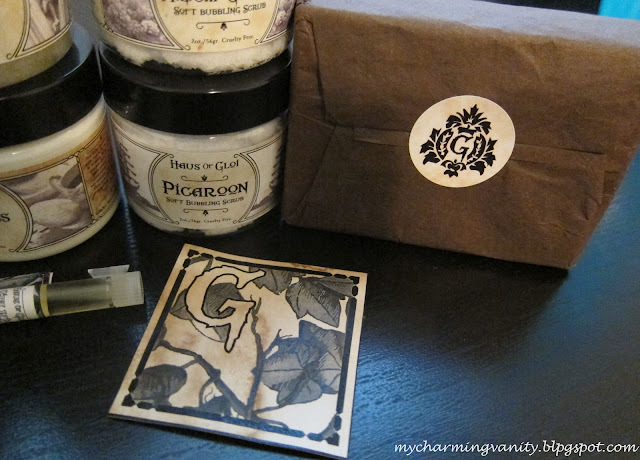 Thanks Aissa for the lovely packaging as well as going out of the way with the extra goodies! Upon receiving the parcel (I'm not really sure which day it came in as I was out of the country for work), I already couldn't keep my hands away from the body frosting as well as the really lovely scented hand sanitizer. Just a sneak preview over here, the hand sanitizer is sooooooooooooooo moisturizing...OMG..
A separate review will be featured on this blog soon once I've tried out all the products and cut up my soap bars. Do let me know which product review you would like to see featured first. Have a good week ahead & Happy Easter! As opposed to any facial wash I've tried, the Naruko [ampm] am Wakeup Skin Smooth Washing Powder is my very first powder format facial cleanser. I have always been skeptical about such products and by now, you must be wondering why I even bought it in the first place. Answer is, I got this as a free gift from purchasing the Naruko skin care guide. According to Naruko's site, this product contains papaya enzyme, vitamin E, bifidus ferment filtrate, micro-dermabrasion crystals and etc. (bunch of stuff in chinese that I don't recognize). The papaya enzyme is said to be able to remove dead skin cells while the microbeads promote cell turnover rate. Both ultimately combats dullness which will lead to a more radiant and healthy complexion. The method of use is rather straightforward; just pour a walnut size amount of powder to the palm and work out a lather by mixing the powder with a small amount of water. The product is also recommended for use in the morning instead, as it supposedly wakes up the skin. After consistently using this for a few months, I came to a conclusion that this product this product do works well as a morning cleanser. However, I find that the main 'waking up' factor for my skin is the strong herbal scent rather than any other abovementioned ingredients. I also do agree that it provides gentle exfoliation and brightens up my skin, especially on days that I'm deprived of sleep. Yet, this is one of those cleansers that I find myself rarely reaching out for on my bathroom counter (I prefer the rose & botanic aqua cubic cleanser). Main reason is that I find that it can be a lil' drying for my liking (I have combination skin type) and the strong herbal scent sometimes gets to my nerve. Overall, I wouldn't recommend this as a must try among all the different cleansers by Naruko. 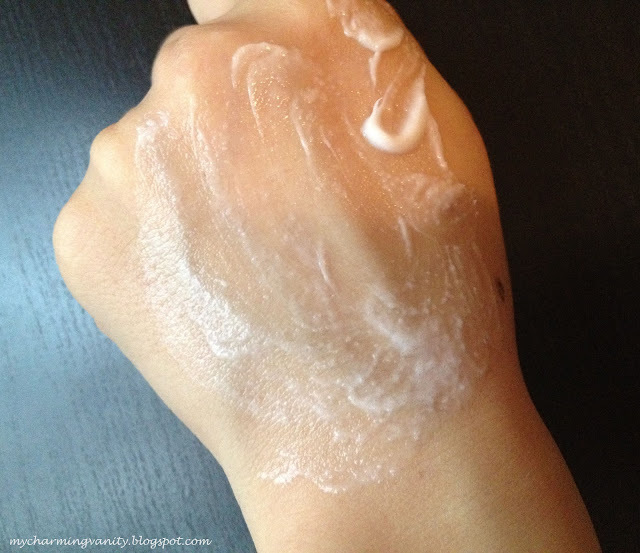 Especially for those with dry skin, you might want to get a sample before buying the product. Ever since started using Naruko products, I've been meaning to share some of my product experience here. However, owing to the reason that I do own quite a number of products from Naruko, I decided that I would do a Naruko review series this whole month instead of combining the reviews in one post. The first product on my review list is the Naruko Rose & Botanic HA Aqua Cubic Foaming Wash. This facial wash is part of the Rose & Snow Fungas collection that is recommended for dry, dull or sagging skin. From what I know, this line of products is also one of the classic best seller from Naruko due to the intense hydration benefit. Each line by Naruko offers a holistic regime ranging from cleanser all the way to sleeping mask. Amongst the different lines, I decided to purchase this cleanser due to its claim of providing gentle cleansing experience and intense hydration. 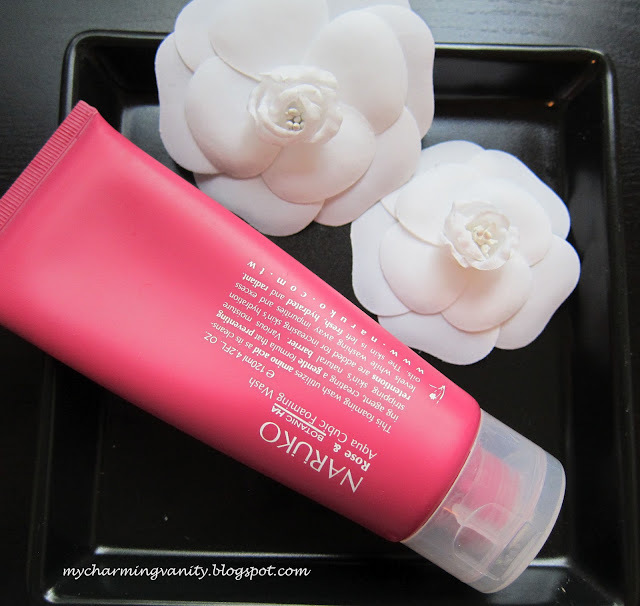 This cleanser comes in a dense and creamy formula. It is strongly scented with a rose scent due to having rose essential oil as one of the ingredients. Though I'm not a fan of scented facial care, I enjoyed this product especially at night as it gives a really soothing feeling after a long day at work. Aside from the rose essential oil, the product contains amino acid, hyarulonic acid and snow fungas extract; all of which are ingredients which enhances hydration, ensuring that moisture is not stripped away from the skin. Even though facial cleansers are usually my least concern in my daily regime, I do notice that the cleanser leaves my skin soft after each wash and my pores condition is also improving by the day. Overall, I do not have any complains regarding this product and would definitely recommend anyone to try out if you are looking to purchase from Naruko. The product retails at price below and can be purchase from their official distributor site in Malaysia and Singapore. p/s: This cleanser alone does not remove makeup hence make up remover is a must to ensure all makeup is removed fully. After a few months of accumulating products that I don't really need, the time has finally arrive for me to do a new round of 'Project 10 Pan'. This time round, to give myself an aim that is more achievable, I've decided not to limit what's included down to specific products. Rather, I would need to use up different things from different categories. p/s: Are you on project 10 pan as well? So finally, here is the second installment on the products that I've used up between 2011 till start of the year. I've noticed that I used fairly a small bit of makeup which is pretty disappointing for myself as it means that I will not be able to purchase more anytime soon. MAC Mineralize Skinfinish Natural - LightI really really enjoyed this product. 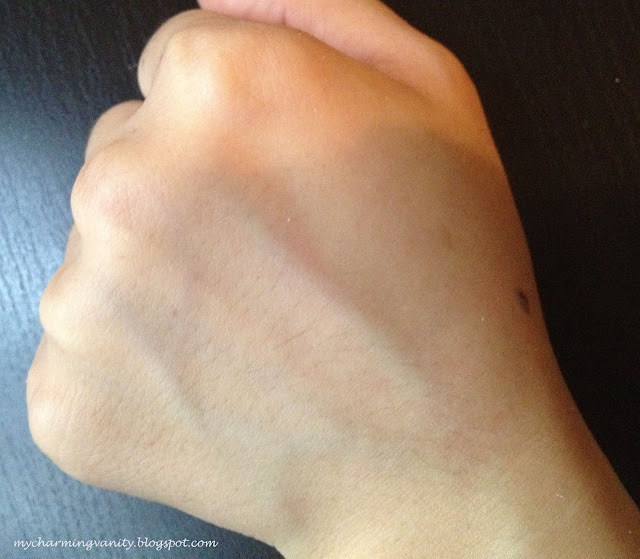 The texture is smooth and refined, blending into my skin effortlessly. If I were to repurchase a new face powder from MAC, this is definitely my goto product to purchase. It provides coverage yet it doesn't look cakey at all. See my full review here. A product which I really enjoyed. I like the yellow undertone and how it matches my Asian skintone perfectly. 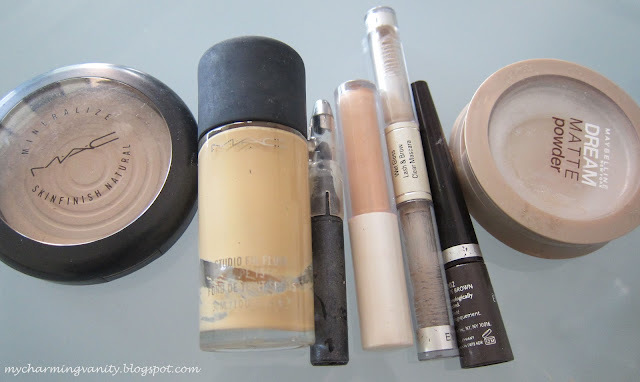 However, after I ventured deeper into the foundation realm, I have discovered other brands which work even better (In my dictionary, it translates to, longer lasting). That said, I still think this is a very good product to try out if 12-hour makeup is not a criteria for your foundation of choice. I'm not entirely sure whether this is still available on ELF's website, however, if you are searching for an on-the-go spot concealer, definitely give this a try! Full review can be read here. Another affordable ELF product that costs only $1. Apart from the attractive price, I really do not recommend this product as it is too sheer and doesn't provide the coverage a concealer should. Awesome product for $1. Totally recommend and does a good job keeping my brows in place! 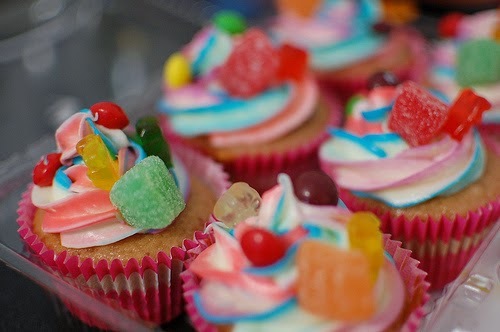 I think for the price, you definitely can't beat that, enuf said.. I used to really like this product due to the easy application, affordable price, staying power and pigmentation. However, the one thing I absolutely hate about it is that it stings my eyes!!! For my take on drugstores liquid eyeliners, read here. 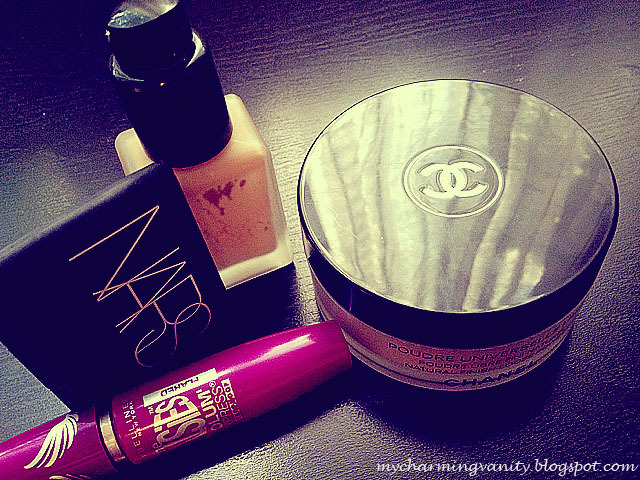 I think everyone should have this powder in your collection. Hands down love this, best drugstore powder I've tried so far! Read here and here for my thoughts on the product. To give you an idea on how much I enjoyed it, I'm on my second product now. 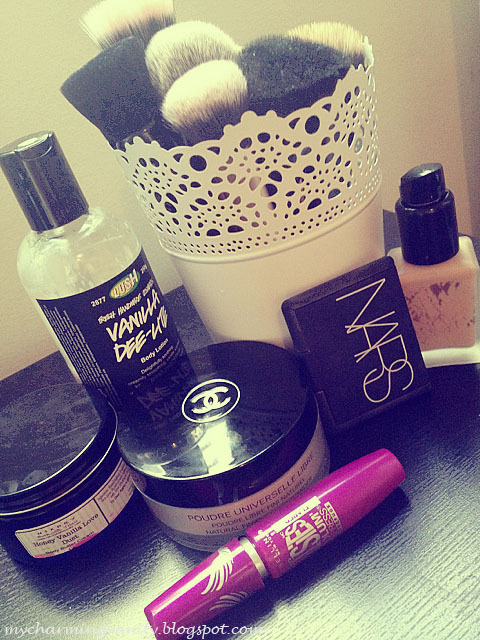 =) A rare occasion for a makeup hoarder..
Another upcoming post on hair products that I've used up will be up soon. In the meantime, have a good week! 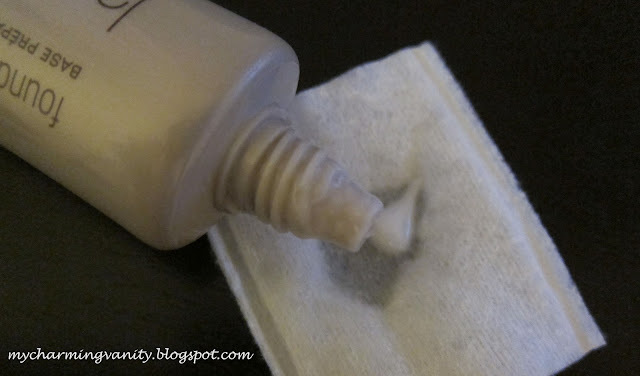 Before I jump into sharing my next 'I love Empties' post, I thought I would do a quick swatch post on one of my current obsessions - MAC Paint Pots. This is my all-time favorite hand cream. I love the smell and how soft my hands feel right after each application. Furthermore, the price is really affordable and a small really does go a long way. 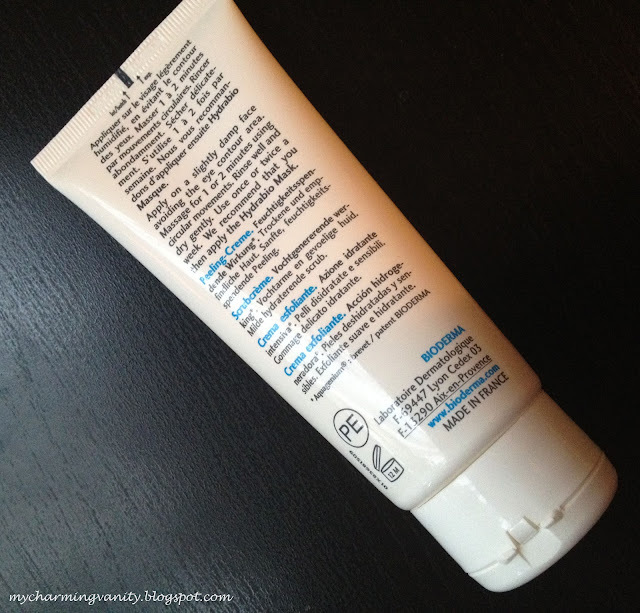 If you are in search of a new hand cream, I definitely would recommend you to give this a try. I think this must be my third tube of make up base/primer from Biotherm. This range of product comes in 5 different shades. I have personally tried the instant brightening (my favorite) and the rosy glow ones and find both to not only corrects my skintone but also keep my foundation on all day. Sometimes I even wear this just with a thin layer of powder! Though I'm trying out other primers at the moment, I can safely say that this is my Holy Grail primer for now. 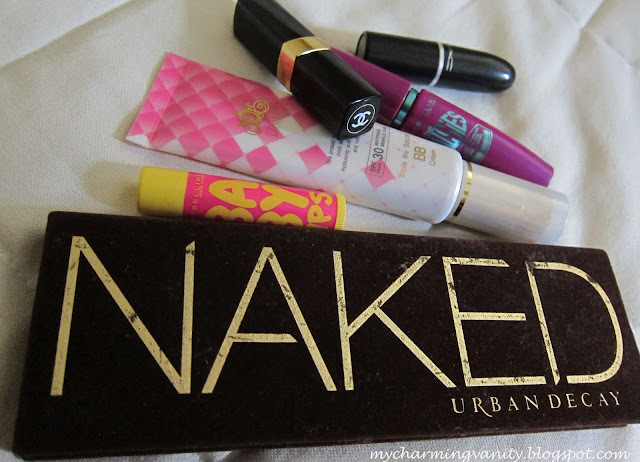 I do not have a review of this on my blog as I was too lazy to post it up.. Opps. I think this is really a very basic type of eye cream. 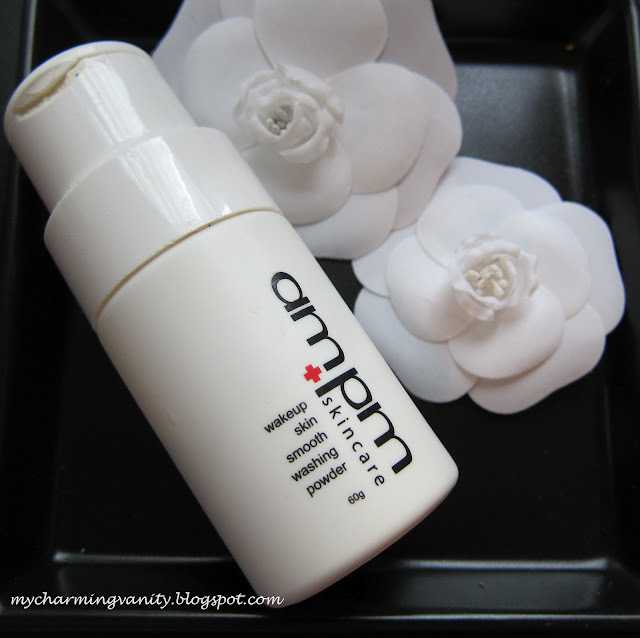 It keeps my eye area moisturize and prevents fine lines. The consistency is rather thick and it does take some time for the product to completely sink into my skin. I have absolutely no complains for it but being a skin care fanatic as I am, I just can't help looking for the next great product out there. That said, if you are looking for an affordable product, definitely give this a try. This can be found here or here. I think this is a very average sunscreen. I wasn't a big fan of it but while I was using it, it did a good job preventing my skin from getting tan. It is also non-sticky and sinks into the skin in no time. Aside from that, I didn't find anything really interesting about the product. I love this product. It is my holy grail water-based cleansing lotion. I have reviewed this once here on this blog. 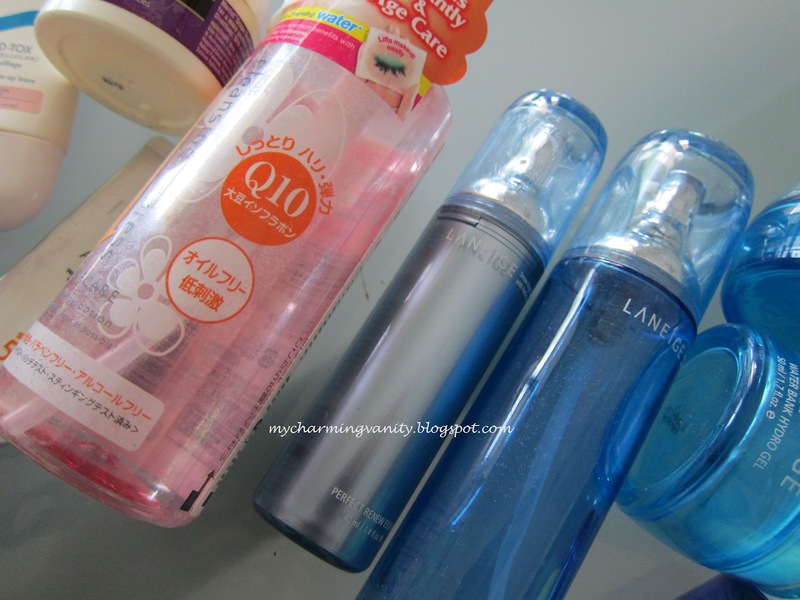 I really enjoyed Laneige's skin care, especially the water bank series and the perfect renew series. The Perfect Renew series prevents premature series and while I was using it, I think it did a really good job keeping fine lines out my skin. Similar to the same range's essence, the texture of this skin refiner/toner is light and refreshing. I also think that this product did a good job with the whole anti-aging claims that it came with. 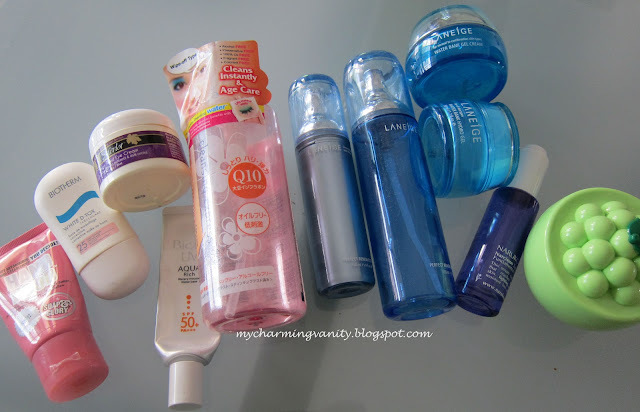 Like what I mentioned about the other products, while I really enjoyed most of the empties in this post and will recommend it to people around, I wouldn't necessary repurchase them as I love trying new products. Looking at how I have finished up 2 tubs of the same product, I believe you would already know how much I love this range of moisturizer. 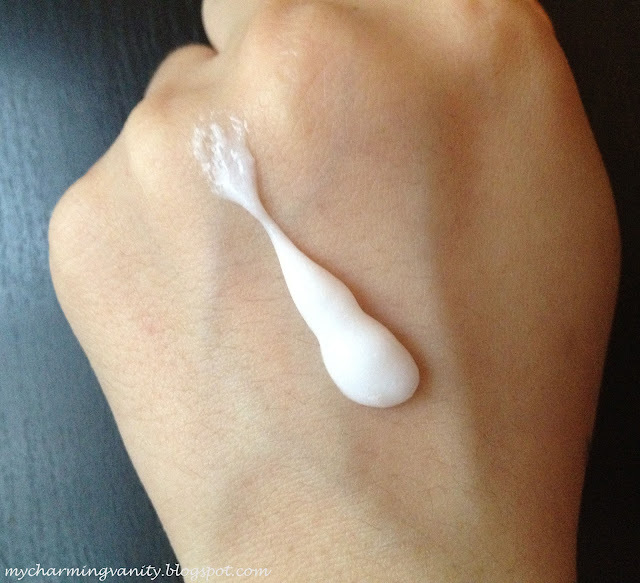 The hydro gel cream is said to be even more moisturizing than the hydro gel. It is also slightly more expensive. However, in my honest opinion, I think both are the same and give out the same results. 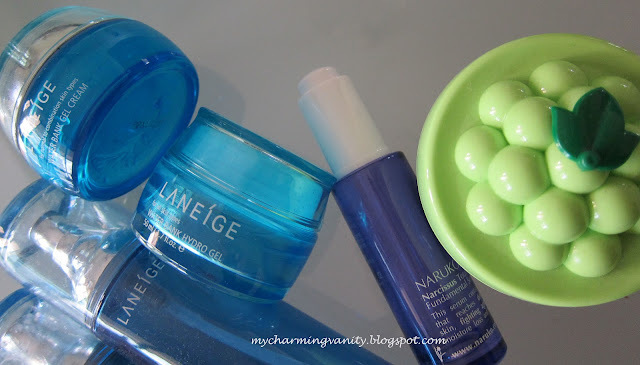 In fact, I prefer the hydro gel better as the packaging is much more user friendly compared to the hydro gel cream. 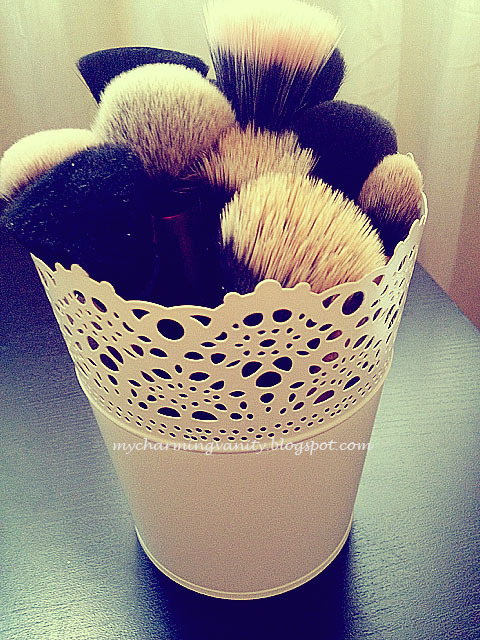 I adore this product! I can safely say that this is in fact my favorite out of all the product I have tried. It enhances the absorption of the next skin care product that I apply on to my skin. I am currently using the second bottle in my skin care routine. The only downside about this product is that each bottle only lasts about 3 - 4 months. The pump is also annoying as it uses a dropper to take out products. However, if you are looking to purchase anything from Naruko, definitely try this out! Yes, yes! I am obsessed with anti aging skin care at the moment. I know I probably should accept aging as a natural human growth process but I just can't get passed seeing even a slight sign of age on my skin. Anyway, back to this product. I have reviewed it here. This is not something I recommend for sure as it did nothing as far as anti aging goes. Stay tune for the next installment on Make Up and Hair Products. During my most recent stay Malaysia, I finally got my hands on the Revlon Lip Butters. 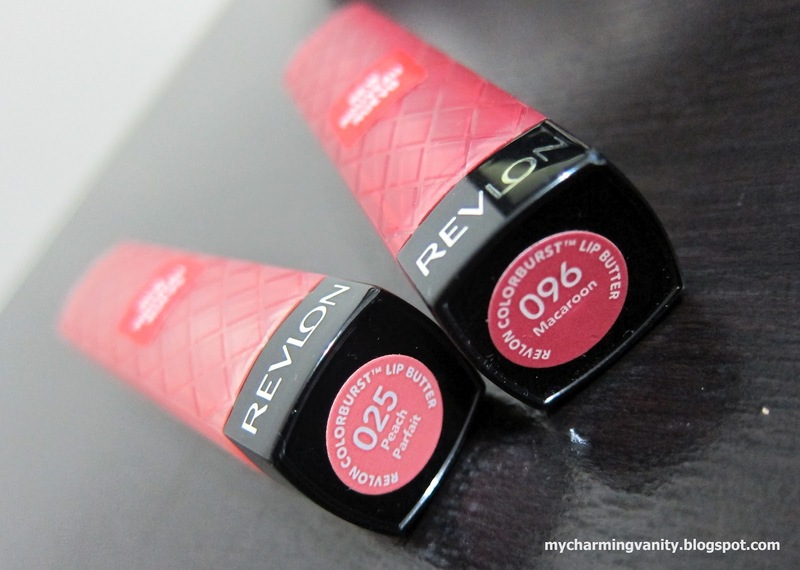 Priced at RM25, I was surprised how much cheaper this line is in Malaysia as compared to Singapore (retail selling price of Revlon Lip Butters in Singapore is SG$15.90, in case you're wondering). After much thought, I decided to get Peach Parfait and Macaroon in the end. I chose them as they are the daily wearable colors which I gravitate towards. Among the two that I picked, I definitely prefer Peach Parfait over Macaroon. Like what many have raved, it is a really pretty color which is suitable for all ages and almost all occasions. However, I did notice that Macaroon offers a better and smoother texture compared to Peach Parfait. 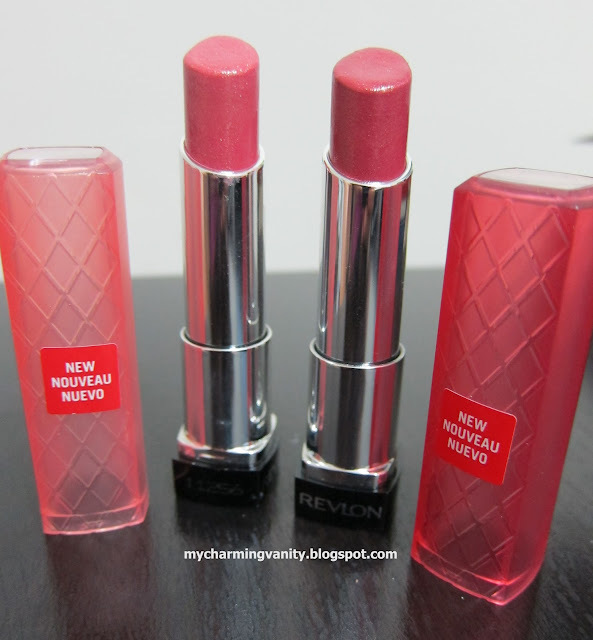 If you are looking for a drugstore lipstick that has a more creamy texture, I definitely recommend this product. But do note that this is not long lasting at all. 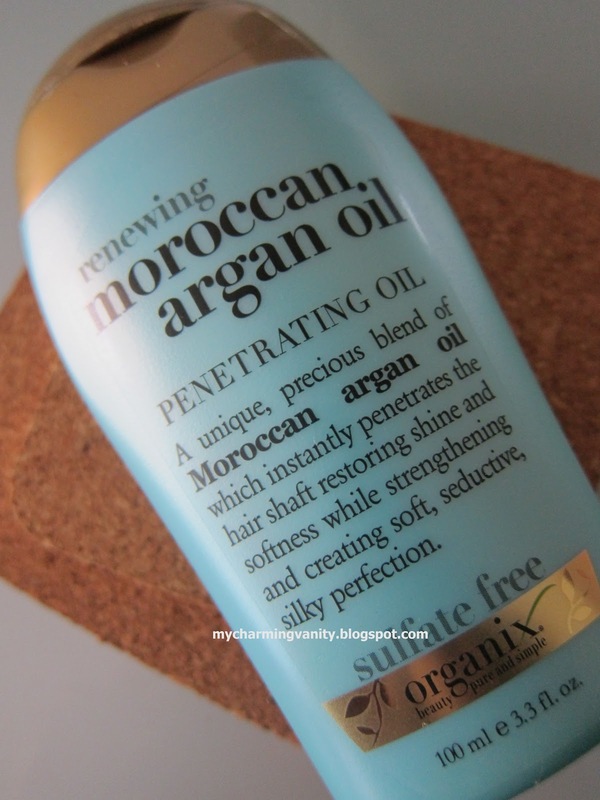 I came across the Organix Moroccan Argan Oil during one of my usual runs to Watsons, one of the really popular drugstore chains in Singapore. 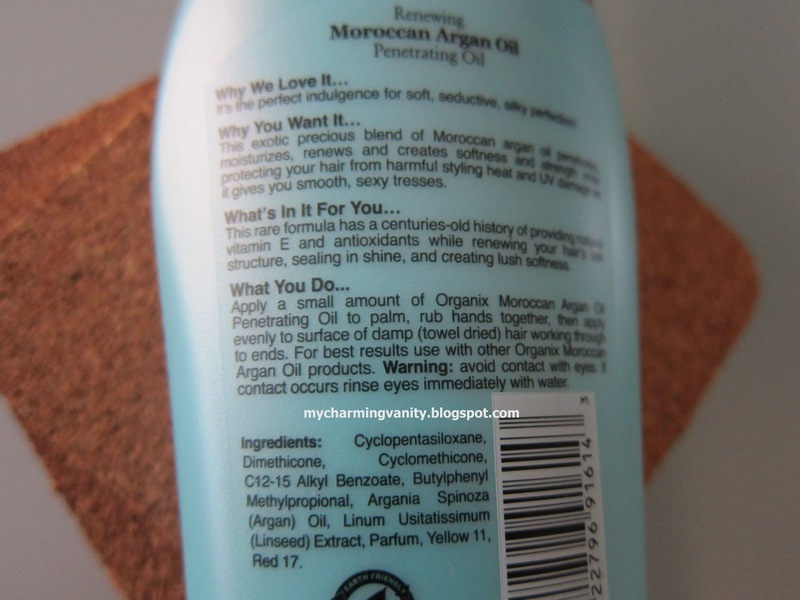 Having heard many raves about the benefits of argan oil, I just couldn't let myself pass this product when I saw it laying on the shelf. After trying out the product for about 2 weeks, I thought it would be appropriate for me to share some of my initial thoughts here. It is obvious that the things that I like outweighed those I dislike. 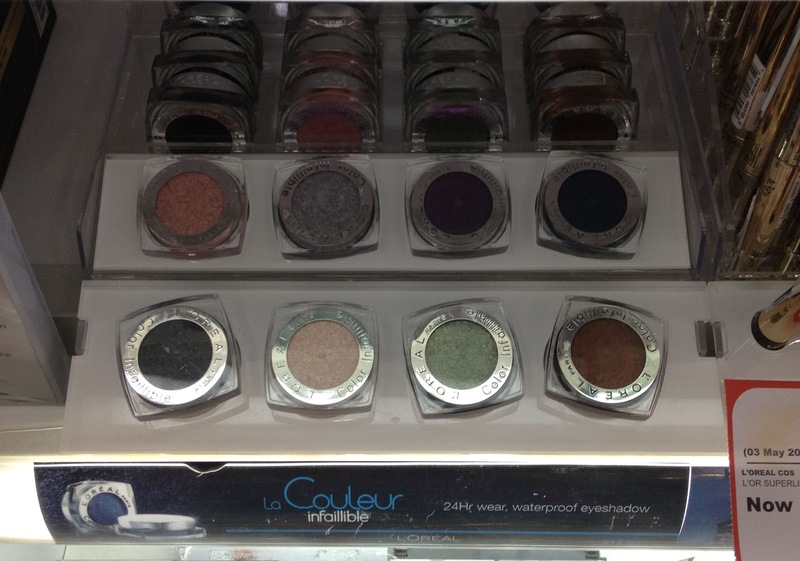 However, I did read on makeup alley that this product did not work for everyone who has tried it. I can't help but to be glad that this worked for me especially when the price tag doesn't cause big holes in my pocket. Personally, I think this may be one of the best hair oil I've tried so far amongst various drugstore brands. I am planning to purchase the shampoo and conditioner from the same line to try out once I am done with my current shampoo and conditioner. For those interested, the Organix line of products can be found at selected Watsons in Singapore (I bought mine from the Watsons at International Plaza). Have you tried any products from Organix?